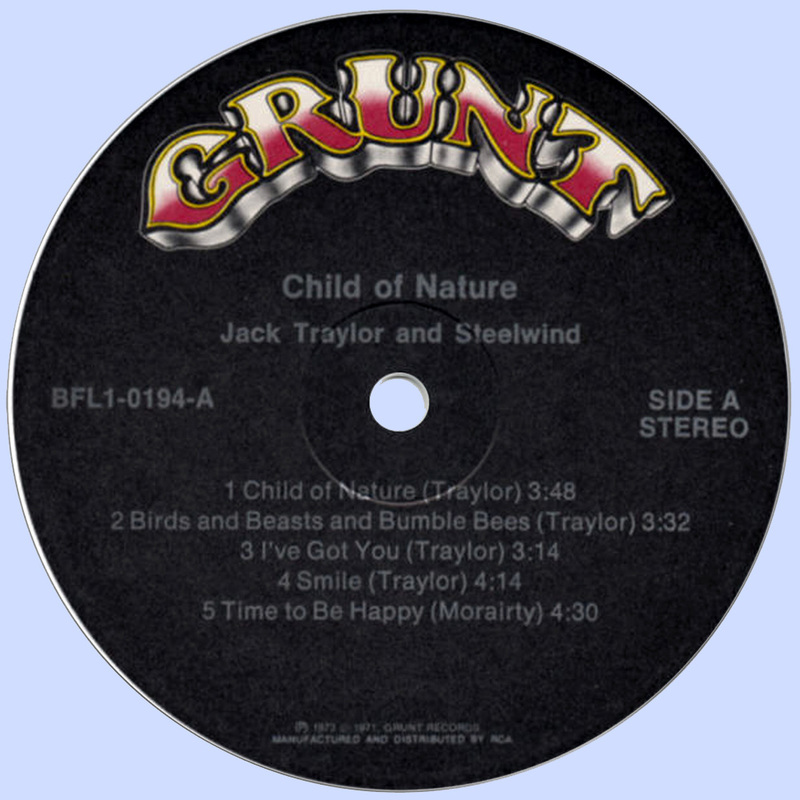 Jack Traylor was a Grateful Dead/Jefferson Airplane associate who contributed towards Kantner, Slick and Freiberg's Baron Von Tollbooth and the Chrome Nun, various members of the collective returning the favour by playing on his 1973 solo album, Child of Nature, credited to Jack Traylor and Steelwind. Jack was the main songwriter and vocalist, and sticks to unvarnished acoustic rhythm guitar. The have a female vocalist, Diana Harris, who also happens to play some piano, a lead guitarist who mainly sticks to electric, a third guitar player, Skip Morairty, and a bassist. 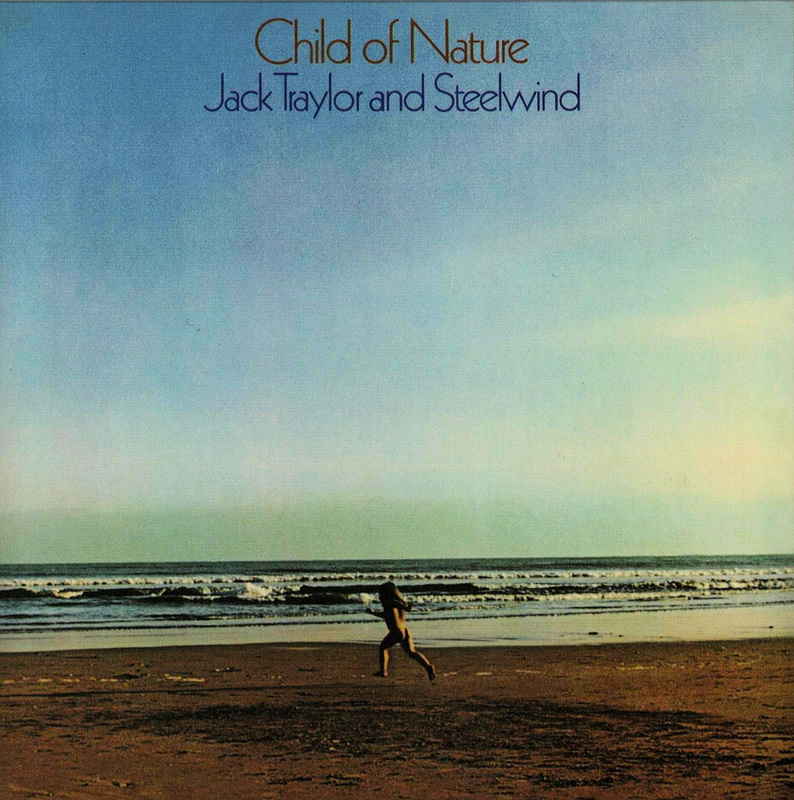 Plus, longtime Airplane producer Al Schmitt produced their debut, Child of Nature. 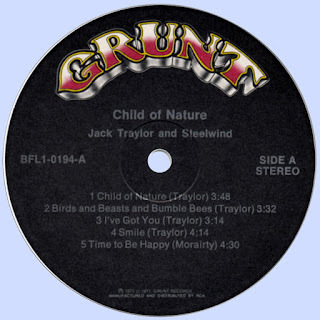 Traylor's an okay singer/songwriter (the title track is catchy), the young Chaquito gets in some nice work, and has one extended solo which owes a lot more to flashy rock than folk ("Time to be Happy"). 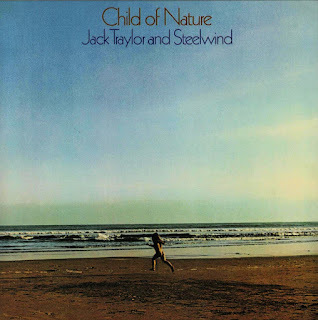 Besides Traylor and Chaquico, the other members of Steelwind dropped off the face of the planet. The drummer is Malo member Rick Quintanal, and Freiberg plays faint mellotron on one track. "Caveat Emptor".